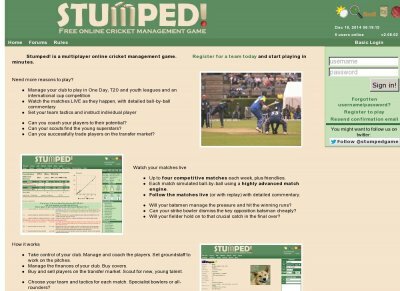 Apex Web Gaming - Vote for Stumped! If you do not wish to vote at this time, click here to visit Stumped! stats. Stumped! is a FREE to play tactical cricket management game, played by real humans against other real humans from across the globe.